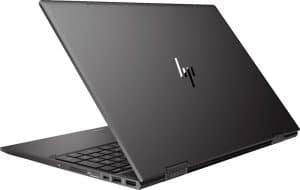 Looking for a new laptop? 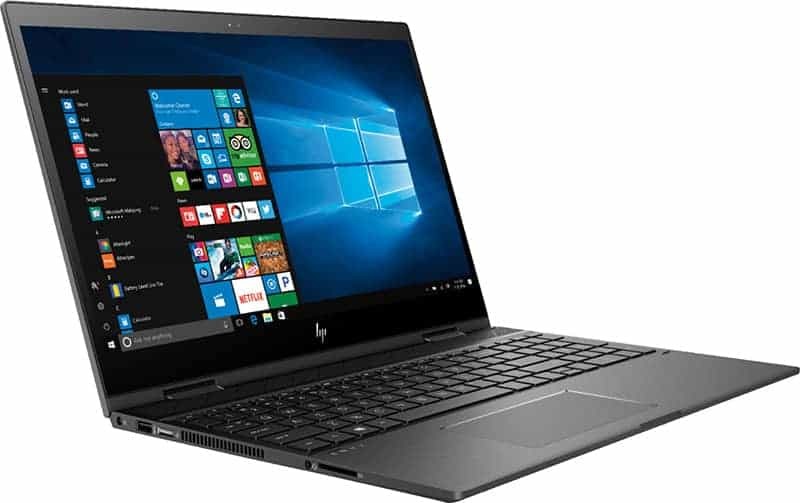 The newly released HP Envy x360 laptops are 2-in-1 devices that can transfer from a laptop to a tablet in seconds! And since they’re touch-screen, they also come with Windows Ink capabilities – meaning you can write on your screen with your stylus. It’s the perfect computer to take from the office to meetings to home – and to end the night watching your favorite TV series in bed! 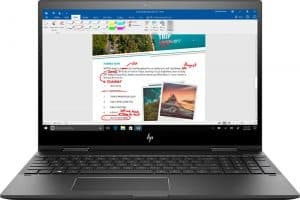 Why should you consider upgrading to the HP Envy x360 Laptop? Here’s 5 reasons why. For those of you that just held on to Microsoft explorer until the end, this browser is Microsoft’s replacement – it’s so much more user-friendly, less bloated, and more secure than its predecessor. This is one of my favorite features! As sometimes jotting down notes is more convenient than typing. It’s a great option to have when you’re in meetings. Simply put, it’s a beautiful and crisp screen and the finger-touch navigation is a game-changer for someone who hasn’t experienced it before. The more RAM the merrier. You can never have too much RAM. If you’re a multitasker, you know exactly what I’m talking about and you appreciate it. Having multiple Adobe Creative Suite programs open at once on your machine can eat up a lot of RAM and CPU, and the only way you’re going to be able to hop between those programs (and also web browse) is if you have enough RAM. On top of that – this laptop also has an AMD processor – which means it’s fast – and thin. No more bulky laptop bags! Another design detail that makes the HP Envy so user-friendly. I love all the ways and situations in which it can used. It fits your lifestyle, and it’s pretty cool to have a laptop that will do that! Want to learn more about the HP Envy? 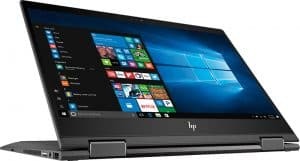 Check out the HP Envy (13in) and the HP Envy (15in) at Best Buy! They have an offer going now through 7/28 where you can save $100! Disclaimer: This post was sponsored by Best Buy, but all thoughts and opinions stated here are our own.